Sannat or more precisely ta’ Sannat, lies to the south of the island. The name is probably derived from that of an Arabic-Greek family that moved to Gozo from Sicily. At Ta’ Cenc, within the limits of ta’ Sannat, there is L-Imramma Temple, a primitive type prehistoric temple made up of a sort of an oval court with a series of more or less oval rooms to the north. Other interesting remains are three dolmens, a horizontal, roughly shaped, slab of limestone supported on three sides by blocks of stone standing on end. 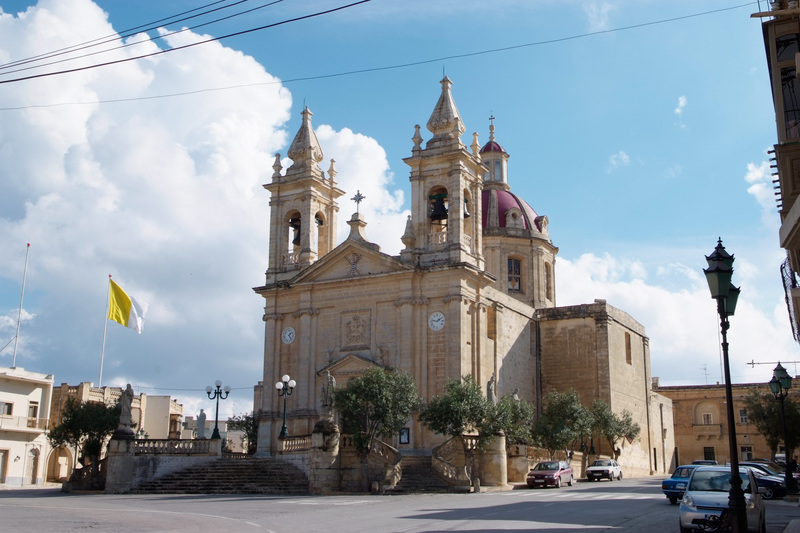 Ta’ Sannat was one of the first places in Gozo to become a separate parish. The parish was established by Davide Cocco-Palmeri on 28 April 1688. The building of the present parish church dedicated to St Margaret Martyr was begun on the site of a smaller church in 1718, but it underwent several structural changes in the 1860s. The present church was initiated on the site of a smaller one in 1718 and was consecrated on 16 October 1755. However, after the significant structural changes, it was consecrated again on 22 November 1868. It was raised to the Archipresbyteral status on 27 December 1893. The church has a very good altarpiece by Stefano Erardi, a famed local painter.